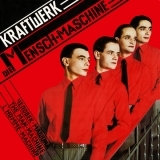 "For for a minute there, I lost myself"
Die Mensch·Maschine [The Man-Machine] (this album) (1978). Sorry, no matches on eBay for "Die Roboter [The Robots] Kraftwerk". Showing latest 5 ratings for this track. | Show all 126 ratings for this track. Related links: top tracks by Kraftwerktop tracks of the 1970s, top tracks of 1978.